I read this article and found it very interesting, thought it might be something for you. 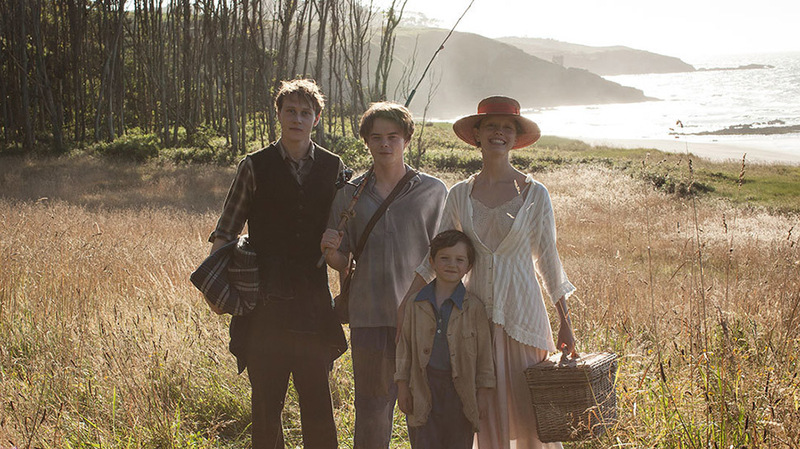 The article is called Cinema Review: Marrowbone and is located at https://www.totallydublin.ie/film/cinema-reviews/cinema-review-marrowbone/. Four children and their mother retire to an isolated house to avoid what we can only assume is their father, for reasons unknown. When their mother dies, the children must stay hidden from the world until the eldest Jack (Mackay) turns 21 and can become the legal guardian. But something or someone in the house is disturbing this seclusion. This is Sergio Gutiérrez Sánchez’s first proper foray behind the camera after scripting the likes of 2007’s The Orphanage and 2015’s Palm Trees in the Snow. And he’s brought with him yet another youthful cast for the proceedings. Anna Taylor-Joy is neighbour Allie and Stranger Things’ Heaton plays Jack’s younger, more aggressive brother Billy. The cast are uniformly competent throughout, though perhaps a little flat, and the film is shot quite beautifully with some nice scenic shots spliced throughout. But the narrative is often quite jumpy, with odd edits which become quite discombobulating at times. The reason for this becomes obvious later on. Up to a point, the character arcs and gimmicks turn out in obvious fashion; the off-limits locked room, the hidden love affair, touches of sibling rivalry. Later on, when the scattershot narrative begins to make some sense, there are unexpected twists and turns. With much of the denouement pivoting on these developments, how the film progresses will please some and horrify or infuriate others. Grim, maybe. Satisfying, maybe. Polarising? Without doubt.